The death of Robin Williams from an apparent suicide has unsurprisingly dominated the news cycle this week. It has also unsurprisingly led to plenty of questionable media coverage. One glaring example was seen on Wednesday, when the Daily News published a blunt cover outlining what the Marin County Coroner's Office said were circumstances surrounding Williams' death. The tabloid's choice for a headline? "HANGED." On its website, New York's Village Voice published a response to the Daily News' cover with considerably less jarring cover lines. "We took the liberty of re-editing the Daily News' shameful Robin Williams cover," the Village Voice's Alan Scherstuhl wrote. "Here's what [it] should have looked like." The Daily News, of course, wasn't alone in exhibiting a lack of taste. Radio host Rush Limbaugh came under fire for comments on his radio show Tuesday in which he connected Williams' death to liberalism. "They're always angry about something," Limbaugh said. "No matter what they get, they're always angry." Williams "had it all but he had nothing. Made everybody else laugh but was miserable inside," Limbaugh continued. "I mean, it fits a certain picture or a certain image that the left has. Talk about low expectations and general unhappiness and so forth." Limbaugh cited a Fox News report that the 63-year-old had grappled with "survivor's guilt" by outliving friends Christopher Reeve, John Belushi and Andy Kaufman. "He could never get over the guilt that they died and he didn't," Limbaugh said. "Well, that is a constant measurement that is made by political leftists when judging the country." F*** YOU Rush Limbaugh. Your statements were beyond cruel and stupid. They were intolerable. Enough is enough from you. You are an idiot. Don’t you ever demean the death of another human being. He was my friend. You disgust me. On Tuesday, ABC News apologized for streaming live aerial footage of Williams' Tiburon, Calif., home after the comedian's family had explicitly asked the public to respect its privacy. "When we realized there was no news value to the live stream, we took it down immediately," ABC said in a statement. "Our intention was not to be insensitive to his family, friends and fans, and for that we apologize." Questionable decisions made in the wake of Williams' death were not limited to the news media. Edelman, the world's largest public relations firm, published a blog post Tuesday — entitled "Carpe Diem" — outlining a strategy for mental health professionals to use Williams' death as an opportunity to generate publicity. 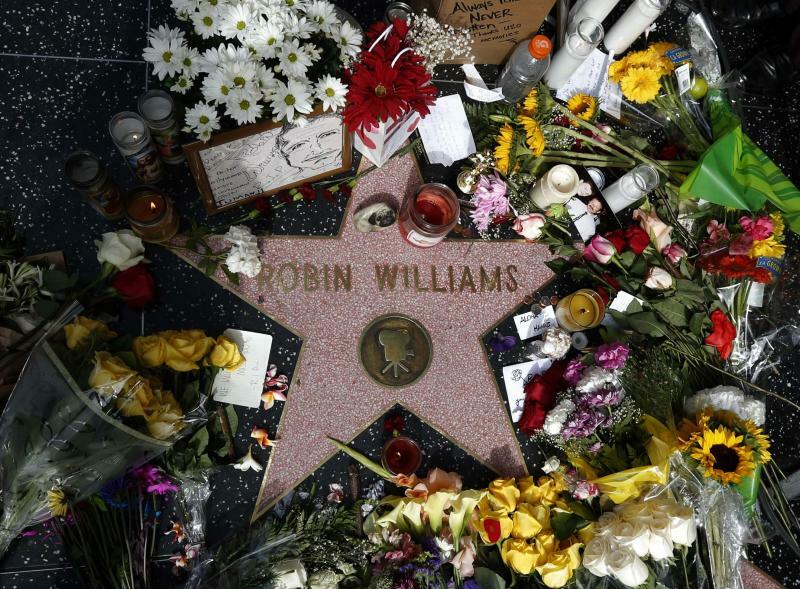 "As we mourn the loss of Robin Williams to depression, we must recognize it as an opportunity to engage in a national conversation," Lisa Kovitz, an executive vice president and media relations expert in Edelman’s New York office, wrote. "His death yesterday created a carpe diem moment for mental health professionals and those people who have suffered with depression and want to make a point about the condition and the system that treats it. There’s a very careful line they need to walk so as to not seem exploitive of a terrible situation but at the same time, it is a national teachable moment that shouldn’t be ignored." Some mental health organizations still have nothing on their websites or Twitter feeds regarding the situation and the need to seek out help. Perhaps they were trying to be non-exploitive or stay business as usual. While that approach may be the best for them, this event calls that strategy in to question. Since the issue of depression is clearly a continuing conversation, we would certainly want these organizations to consider another approach that is more visible and aggressive. "Actually, no Edelman," one commenter, Erin Blaskie, wrote. "Robin Williams' death does NOT translate into an opportunity for your firm or for the clients you're directing to 'join the conversation.' ... Using someone's death as an opportunity to position yourself as THE PR company to walk potential clients through the best way to benefit from this "conversation" is callous. Instructing potential clients to pay your firm money to help them take advantage of this situation is gross." Kovitz, though, defended the post. "This actually [began] as an internal memo," she later explained to Business Insider. "We do this quite regularly on all kinds of topics related to media relations on a wide variety of topics. We believed it was worth surfacing more broadly given how the news cycle was progressing. ... Many people are simply not prepared to act at the speed of news." But there have been plenty of opportunities to dissect the response to Williams' apparent suicide, as even seemingly innocuous tributes have come under scrutiny. Shortly after his death was reported, the Academy of Motion Picture Arts and Sciences tweeted a still from Disney’s animated "Aladdin," in which Williams voiced the blue Genie.